Colombia – a country with a long history and ancient traditions of indigenous peoples. It perfectly preserved most of the historical monuments and famous landmarks. All this could not retain a lot of interesting data and facts. In this article, we will tell you all the interesting information about this beautiful country. 1. Bogota – the capital and largest city of Colombia. 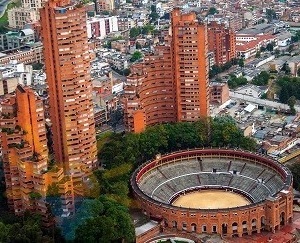 Bogota – the third largest city in the world! Its area is 1775.98 km2. 2. The former name of the capital – Santa Fe de Bogota. 3. The population of the capital of Colombia is 10,763,453 people. The annual growth rate of 1.2% of the population. Every Colombian average for life gives birth to two children. The average life expectancy for men is 71 years and for women – about 78 years. The urban population is 74%. Literacy among Colombians is about 91%. 4. Interesting fact: The town is situated at an altitude of 2640 meters above sea level. 5. Colombia has large deposits of minerals. Interestingly, the export is silver, platinum, coal, oil, natural gas, gold and emeralds. 6. The country borders with Venezuela, Brazil, Ecuador, Peru and Panama. 7. 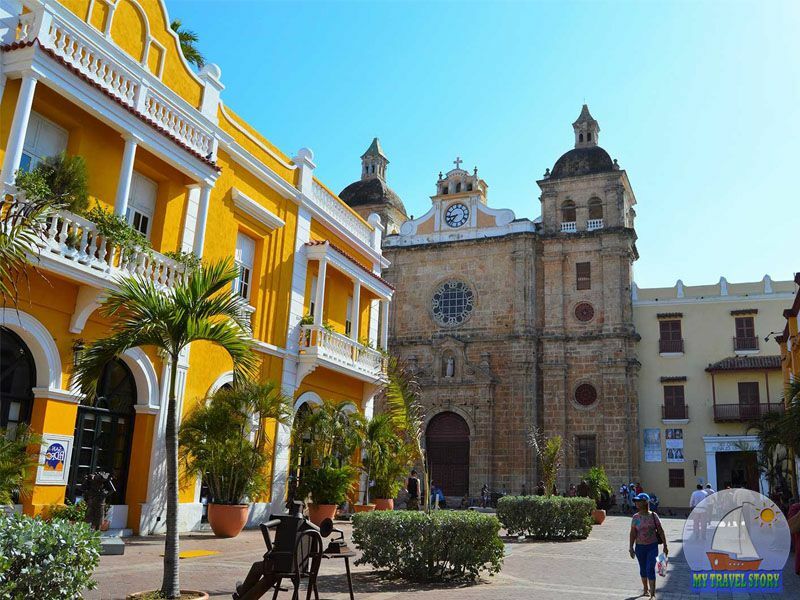 Colombia – known South American Tourism Center, the main of which are the various festivals. One of the most famous and popular among tourists is the festival of colors. 8. Colombia – a country of eternal summer. Year-round shines hot tropical sun. This is due to the country’s location on the equator. 9. Colombia accounts for 12% of world coffee production. By the way, it is the world’s second-largest coffee exporter. 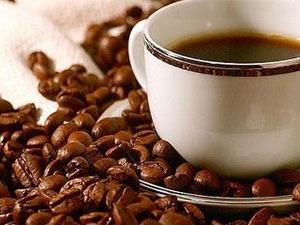 During the year, the country exports more than 672 million kg of coffee! First place in the number of exported coffee belongs to Brazil. 10. Bogota Airport is the largest airport in Latin America. 11. Columbia is in 6th place in the list of the most happiest countries in the world. 12. Interesting fact: The most diminutive man in the world – Colombian! His height of 70 cm and weight 10 kg. 13. The country covers 1,138,910 km2, which is comparable to two or Texas Portugal, Spain and France combined! Almost 9% of the area of the water surface. 14. Pico Cristobal Colon – a mountain in Colombia ranks 5th in the world! Its height is 5700 meters. 15. The population is 46,271,958 people. By the number of inhabitants of the country occupies the 28th place in the world. Her neighbors in this list are Spain and Ukraine, with almost the same population. 16. Percentage of Colombians from all the world’s population is 0.67%. 17. The population density is 37 people / km2. 18. Colombia – the name came from the name of the famous explorer Christopher Columbus, who discovered America in 1492. Throughout its history, the name changed several times, but in 1886 it was finally called to the Republic of Colombia. 19. Throughout the country, hundreds of Indian languages at the moment have only 75 and their number decreases every year. It is interesting to know that there were about 80 indigenous people in its territory who speak more than 180 languages. 20. According to the International Union for Conservation of Nature and Natural Resources, in Colombian territory live 593 endangered animal species. 21. Did you know that in this country produces 95% of emeralds in the world! 22. Fact: according to estimates, every year Colombians drink about 400 billion cups of coffee.! The number of drinking coffee is second only to the volume of water you drink. 23. Colombia ranks first in the number of species of orchids (3500) and birds (1754 species). 24. The official language is Spanish. Small popular English, but some of Colombia states actively introduce English as a compulsory learning in all educational institutions. 25. An interesting fact is that until 1957 the Colombian women could not vote in the elections! Removed the ban Rojas Pinilla – a prominent politician and the president of the country in 1953-1957. 26. An interesting fact is that the country is one of three world leaders in the production of women’s underwear. 27. Colombia is the first democratic country in Latin America. 28. On the whole territory of Colombia has 15 active volcanoes. 29. Total participation at the Olympic Games, the Colombians were able to win only one gold medal! First place achieved Maria Urrutia in 2000 in weightlifting. 30. 70% of the colors in the United States is imported from that country. 31. According to unofficial estimates, the Colombians produces 545 tonnes of pure cocaine per year! The country is the world’s largest producer of coca plants. 32. The vast majority of Colombians – Catholics, but the forest Indians have retained their traditional ancient beliefs. 33. 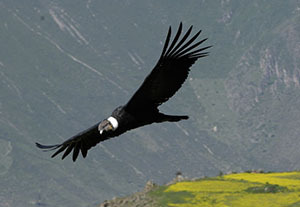 The Andean condor is the national symbol of Colombia. This bird is the largest in the world!